Frank Thomas was inducted into the Baseball Hall of Fame, and had many people to thank for it; 138 to be exact. He joked that he had to cut 50 people out of the speech to keep from running over his allotted time. Hitting 521 homeruns over a career that spanned 18 years takes a lot of support, and Thomas made sure to thank everyone he could. He talked about his mother and the support she gave, along with his deceased father whom he credited with instilling in him his tireless work ethic. Fighting back tears Thomas thanked him for “always preaching to me that you can be someone special, if you really work at it”. He also thanked his team podiatrist, Dr. Lowell Weil Sr. for all the work he did keeping Frank on his feet. Over the years, Thomas was treated for a bone spur “half the size of a golf ball in the front of his ankle,” a tarsal coalition (also known as “flat foot”), hallux rigidus (aka “stiff big toe”), a metatarsal stress fracture, navicular fracture, posterior tibial tendonitis and ingrown toenails. There is no doubt without treatment of these foot ailments, Frank Thomas would not have had the stellar career that he did (us Detroit Tigers fans surely remember all the damage he could do in a White Sox uniform…). Proper treatment by a podiatrist allowed Frank to hit towering homeruns into his forties. Your feet literally are the foundation of your body, take care of them and they will take care of you, as Frank Thomas can tell you! 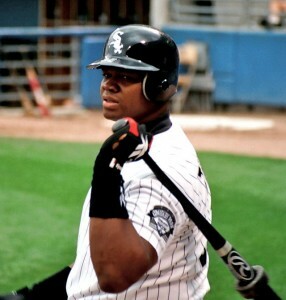 Congratulations to Frank Thomas and all of the 2014 class of Hall of Fame inductees from all of us at Fenton Foot Care! 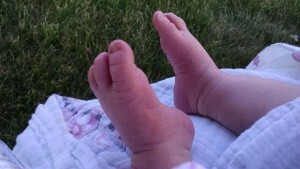 Dr. Hirt what is the most common summer foot problems you see? Ingrown toenails and Planter Fasciitis (heel pain, heel spur). In this interview I will discuss ingrown nails and will discuss heel pain in next interview due to limited time. An ingrown nail occurs when the toenail is pushing on or digging into the skin at the side or end of the toe. It typically starts as a mild redness, inflammation, or mild pain. Usually it will get worse with time and can become infected. If left untreated, in can progress into an abscess, infection, and in rare occasions serious bone infection requiring surgery. 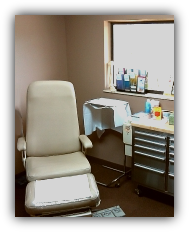 It is critical to get the nail evaluated as soon as possible to prevent complications.